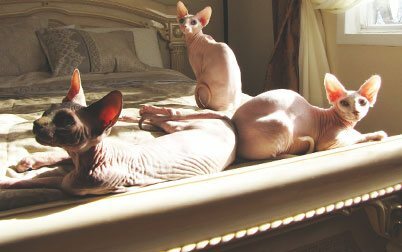 The Canadian Sphynx is an ideal breed that brings peace and coziness to the house. The cat that helps raising children, and is also an ideal friend. 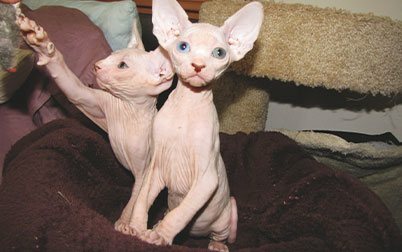 We are not a "cat farm", but domestic breeders. Therefore, all of our "graduates" are healthy, accustomed to the tray and enjoy special care. And also support after the purchase, assistance in upbringing and care. 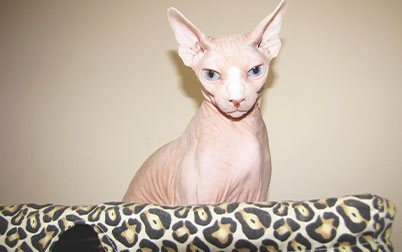 Breed: Canadian Sphynx, elite breed. Character: Friendly and loving, quite "non-feline". 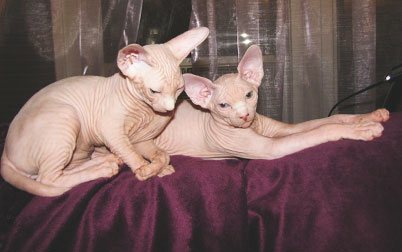 Canadian sphinxes are less independent, deeply attached to a person. Ideal breed for people looking for a true friend. Intelligence: Very advanced. 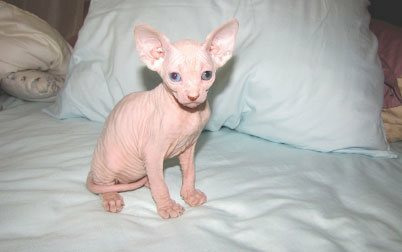 Sphynxes are patient, they are almost impossible to anger or offend. The participate in the upbringing of children. Easily get along with dogs and other animals. Health: Almost 100% safe for those who are allergic to other cats. Same as with any other cat. No need to comb out, regularly sweep the hair etc. 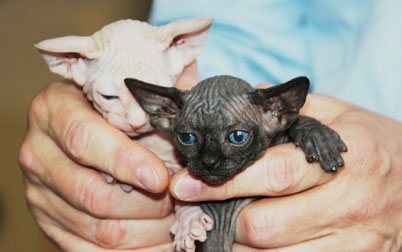 All kittens are beautiful and smart, vaccinated, accustomed to the tray, meet the breed standards. Age: from 2 months old.